Home / Editor's Choice, Entertainment News, Featured Articles, Forum and discussion, Gossip and Drama / This is a must read for all job-seekers. 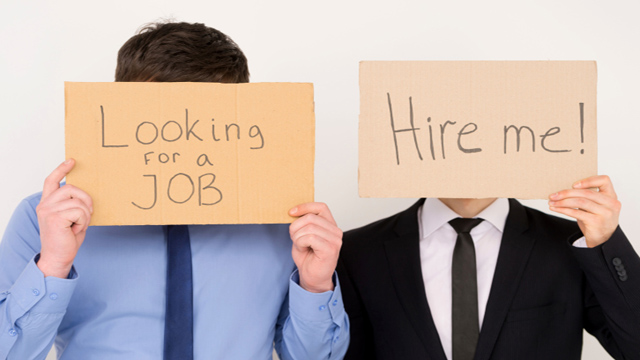 This is a must read for all job-seekers. The reality, however is that there will be as many interviewees chasing that one available vacancy. In 2019, a Bachelor’s degree will not give candidate an advantage. Thinking that the Master’s degree will set you apart from the rest, will be met with the realization that almost all interviewees have a MA or a Msc. There will be Ivy League certificates as well. There is a cut throat competition for jobs. It therefore comes down to how competitive you are, and whether you think outside of the box, or without the box. If you get an unpaid internship opportunity, go for it. The experience gained will one day wipe away the tears shed when you struggled to get bus fare to go to the damn internship. If later while interviewing for a dream job you are asked “what do you bring to the table?” you will smile as you enumerate your prior accomplishments. And if they dare ask “how do you deal with challenges” you will laugh, as you explain how you are solution oriented. Finally, my observation is that many companies are looking for a candidate who can wear many hats. For example, in addition to that BComm. and CPA, learn how to code. Above all, get as many professional certifications as humanly possible. Then, after landing that dream job and reaching a point where you move on and start your own company, do better; pay your interns. Yea, i fully agree. Especially the internship part. In fact Government should make it a policy that every employer should have internships positions covering 10% of all positions for one year non renewable. After this they can either be made substantive based on available openings or released so that new ones can be on boarded.